TEAM. We truly mean it. Truly. If you believe in the team, your life will become easier. The TGIM this week is from three rock stars Haley Gregorio, Craig Johnson, and Steve Herriges. Haley shared (sharing knowledge is so amazing… keep giving!) with us a kind of sad moment in her career. She decided to open a meeting with a “what’s good” sharing opening. Each person was asked to say what’s good. She had one person say “nothing.” How sad. Maybe this person was having a bad day, or a bad moment, or trying to be sarcastic and funny…either way what a sad thing to do. Next time I see that person I am going to give that person a hug. You are alive. You have a job. You are loved by many. To say nothing… well I’m ashamed our Drexel influence hasn’t went that far. This just motivates us more to be then ever a cheerleader for life! Trust me, things could be worse! Visit Children’s Hospital or a brain recovery unit, and tell me after that… that you have “nothing” to be blessed about!!!! Another company standing out above the rest by taking customer service to a new level. 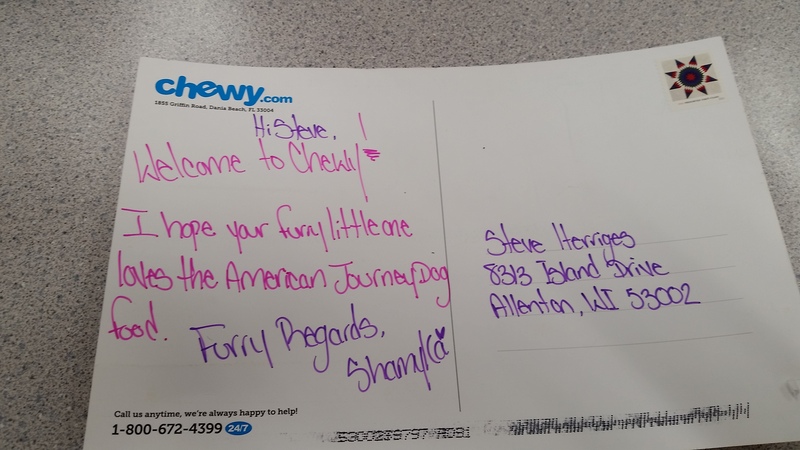 chewy.com for pet food. When you order your pet food it is typically on your porch the next day. They also will auto-ship at whatever interval you choose. First order is half-off to make it easy to try it out. But the real cool parts…. 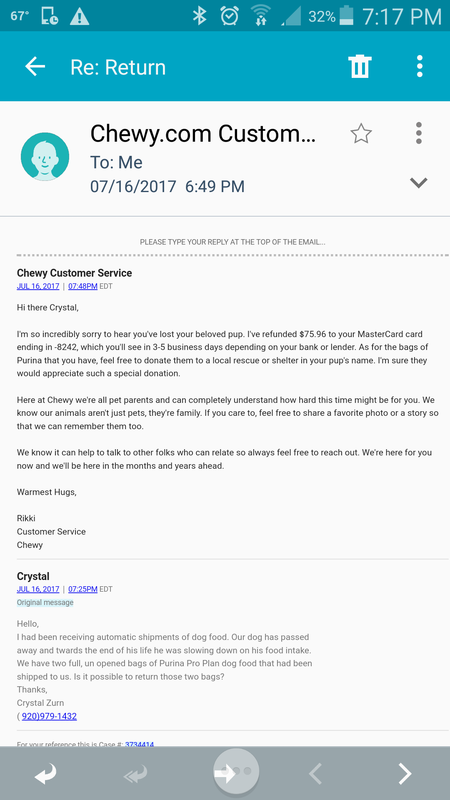 1) screenshot attached is what they sent my sister when she asked if she could return food after their dog passed away. 2) photo of a postcard I got in the mail from them yesterday adding a personal connection to an online company. WE MUST REMEMBER TO SURPRISE AND DELIGHT OUR CLIENTS AS OFTEN AS POSSIBLE, DON’T MISS THAT OPPORTUNITY!!! GO FOR IT! Craig Johnson isn’t a huge reader. He knows the power of it, but like a lot of us, is one busy dude! Yet, he knew as a leader he couldn’t sit on the sidelines any longer and listen in on the book club about books he’s never read. He’s 3 books in. I am super proud of him! Love.Serve.Care. Simple yet hard to master. This is the key to life. If we Love.Serve.Care for our Family, Co-Workers, and Our Clients. We would have more meaningful relationships and our customers would never be focused on price. One last thing. LOVE DOES. Love doesn’t talk about it, think about it, facebook about it… LOVE DOES. Be whimsical, be spontaneous, say YES to the RIGHT things more often and GO FOR IT. LOVE DOES. ← BANNING THE 3C’S WEEK CHALLENGE!